Item Number: 111-5952-5 18559 Actual Weight: 1.5 lbs. Super strong VHB tape provides exceptional strength. Choose VHB tape for its aggressive adhesive, durability, clean appearance and for bonding, attaching, or mounting products. 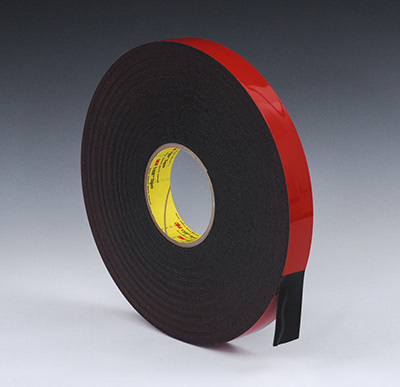 3M Black 5952 tape has a multi-purpose adhesive on both sides of conformable foam tape. Use to bond to a variety of plastics and painted surfaces. Has excellent adhesion to metal and glass and provides 90 lbs. tensile strength per square inch.